“Satsuki” bonsai at the National Bonsai Collection in Washington, DC. These small trees (Rhododendron indicum) are native to Japan and grow just a few feet tall in the wild. They are cultivated for their prolific blooms and tolerance of pruning. 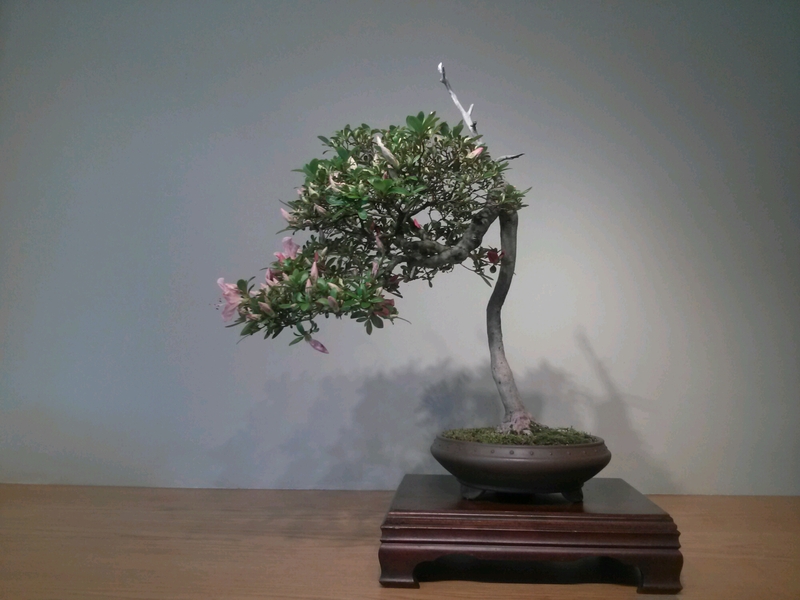 They make gorgeous bonsai and the National Arboretum has several in full bloom. If you’re in the DC area, I recommend a visit. The exhibit closes on June 2. Of course, the rest of the bonsai collection is also looking great as the trees enjoy the early summer rains. The contrast between the quiet, organized art in the collection and the immediate surroundings of the National Arboretum is striking. Large encampments of homeless people crowd below interstate underpasses and the mentally ill shuffle down buckled sidewalks, talking to no-one and everyone. Beauty and brokenness. A dissonance that seems particularly painful so close to Washington’s power and wealth. 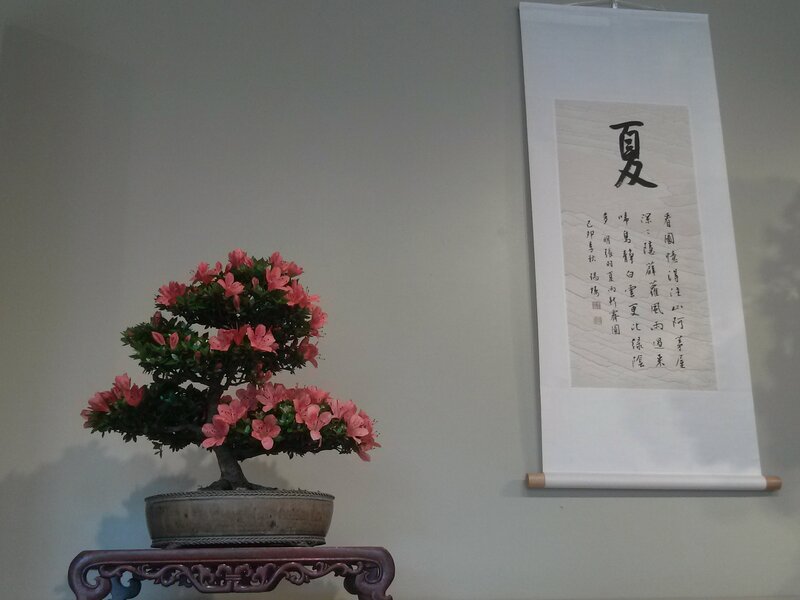 This entry was posted in Travels, Trees and tagged bonsai collection, DC, National Arboretum, National Bonsai Collection, Rhododendron indicum, Washington on May 30, 2014 by David George Haskell.